Earthing (sometimes called grounding) is a term used to describe the process of walking barefoot on natural substances such as soil, sand and grass. It is said that the body benefits from earthing because the feet come into direct contact with the electrons present on the Earth’s surface, and these electrons are thought to influence the body’s bioelectrical process, which can decrease stress and increase overall wellness. Studies have been conducted to show that electrons drawn into the body from earthing can help neutralize free radicals that often cause inflammation and diseases. A handful of studies have shown that earthing has health benefits, including a reduction in stress, better sleep, improved blood circulation, a reduction in chronic pain and an increased function of the immune system. 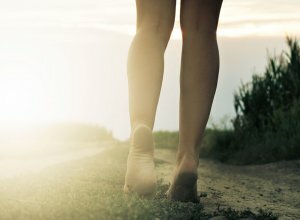 One study on earthing suggests that the practice of walking barefoot on natural surfaces can negate the harmful effects of the electromagnetic fields given off by WiFi waves emitted by devices like cell phones, iPads and computers. People who have earthed and believe in its benefits may be tempted to try special “grounding” shoes that feature copper contacts in the soles, as the copper is said to better link the body to the earth. There are special grounding mattresses that are said to improve sleep habits. Many well-known doctors believe in the benefits of earthing, including energy medicine expert Dr. James Oschman, celebrity medical expert Dr. Mehmet Oz and somewhat controversial medical expert Dr. Joseph Mercola. There’s even an organization called Earthing Institute that aims to disseminate knowledge about grounding and its related health benefits. READ MORE: The Truth About Walking Barefoot — Are Bare Feet Better? 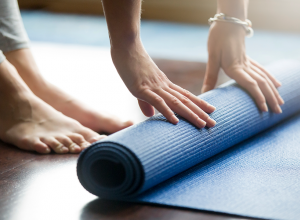 All the facts on the Naboso Barefoot Training Yoga Mat. 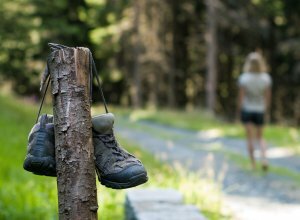 Find out how walking barefoot can improve your life and wellbeing. No Shoes, No Service? No Way! Is It Legal To Go Barefoot In Public Stores And Restaurants? US and state Health Department codes DO NOT ban being barefoot in public. Is Walking Barefoot Good or Bad For Your Health? Ditching your shoes may be better for you than you think.